Still enough reasons to celebrate our animosity towards the executive of state and capital. 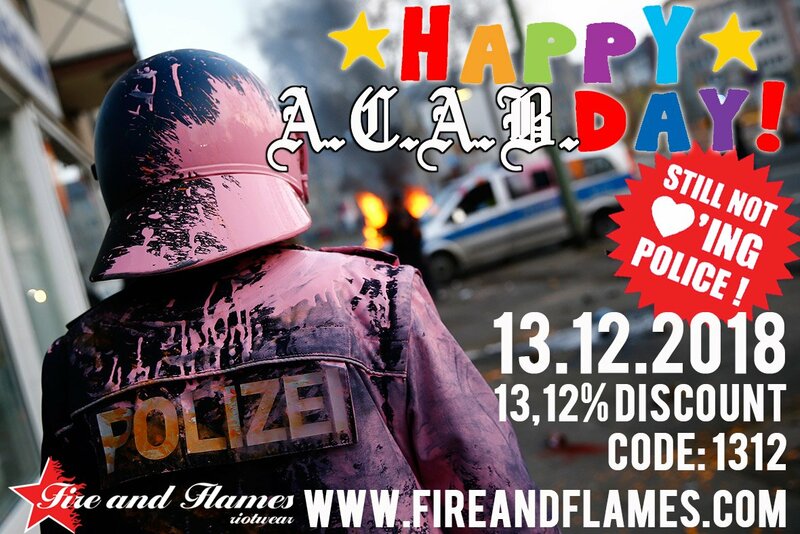 Party with us if you share our feelings and get 13,12% discount on every product in our online shop this Thursday!! Just enter code 1312 during your order and get happy with us. NEW LOS FASTIDIOS RECORD “LET’S DO IT” AVAILABLE NOW! “Jusqu´ici tout va bien” – Solidarity with the social struggles in France! Stumbling Pins 4-Song acoustic EP “Lifetime Crisis” coming soon!